Jack was nominated by his Grandparents for the ‘Family Champions Competition’ at the Blues. 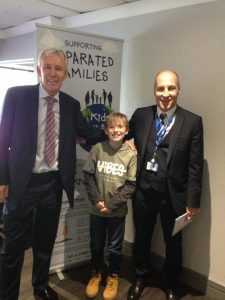 Jack attended the match on 16th December against QPR. Jack is a young carer for his Mom who has a long term illness. Jack met former Blues legends Ian Smith and Ian Clarkson. 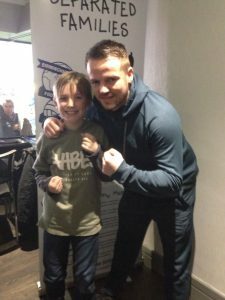 Frankie Gavin, a British professional boxer also popped into the box to say ‘hello’ and have his photo taken with Jack’s Dad Mark and Jack too!